Open water swimming is becoming more popular in the Uk and Europe as people find not only the health benefits but also the social side to swimming. Although our waters are cooler than some of the more southern hemisphere destinations, the advent of good quality warm wetsuits has meant that this is no longer a problem. You can now even swim in the winter months and still stay warm. When it comes to the summer months the choice of suit becomes far great as you then have dedicated swim brands such as Speedo and Blu Smooth that have design open water swim / triathlon wetsuits. These wetsuits use the latest technology to ensure the swimmer stays restriction free and the body is elevated in the water for the best possible swimming position. They are made from high grade super stretch neoprene for freedom of movement and smooth skin outer layers for less drag in the water so you perform to your best. Why Buy An Open Water Swimming Wetsuit? When thinking about which suit to buy it's always a good idea to think about what time of year you will be intending to enter the water. In the winter months your choices are limited to a standard 5mm wetsuit as you need the thicker neoprene to stay warm. It is no bad thing to have a standard multi purpose wetsuit as not only will you be able to use the suit for swimming but also for other water sports that you may choose to participate in. As all wetsuits generally have the super stretch neoprene in the upper body and lumber regions you still benefit from the freedom of movement. Not only do you have the movement but also most have a poly pro lining that is designed to keep your body warm. Great brands to consider would be O'Neill and Rip Curl as they both produce entry level wetsuits that are of a very high quality. Take a look at the O'Neill Epic as this is pretty much the best selling wetsuit on the market at a really good price. Buying A Triathlon Or Open Water Wetsuit For The Summer? If you are swimming in the months from April to October then the options open to you are far greater as dedicated swim brands such as Speedo and Blu Smooth design. Speedo has a long history in the world of swimming and there suits are some of the best on the market for either to avid swimmer or triathlon sports person. These brands use the latest design so your suit has the least amount of drag in the water and gives you great movement. Blu Smooth has pretty much the best entry level suit on the market as they have used neoprene that is usually only found in the very expensive top level suits. The price is remarkable considering the quality of design and high grade of neoprene.  So what ever you thinking in terms of this very exciting sport so Sorted Surf Shop will have a suit that will fit your requirements. If you have any questions then please feel free to call us.